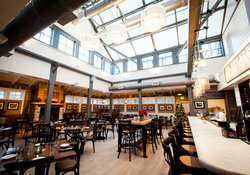 Chesapeake Bay theme, offering American fare and a raw bar. For full menu click here. From wedding receptions and rehearsal dinners to birthday parties or more intimate gatherings, the Mt. Washington Tavern is the area’s premier location to host and celebrate events of all types and sizes. We offer combinations of menus and rooms to suit most any occasion and our seasoned Tavern staff works with you or your party planner to create memorable events. Fantastic food., award-winning wines, amazing ambiance, stellar service and a memorable menu all since 1979. For the drink menu click here.